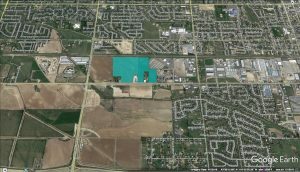 +/- 56 acres of industrial development property located in the City of Meridian. Zoned Light Industrial (I-L), the land is within easy access of I-84 via the Ten Mile or Meridian Road ramps. Excellent property for a large industrial user with all utilities available, including fiber optic along the northern property line. Possible railroad access.